Known as the Air Jordan Fusion 3 (AJF 3) Best on Mars, a look back at the Spike Lee and Michael Jordan Air Jordan Commercials. Representing Spike Lee, the Air Jordan Fusion 3 Best on Mars is related to Mars Blackmon (Spike Lee). Featuring a White / Varsity Red – Metallic Gold colorway, the Air Jordan Fusion 3 Best on Mars released online at the Air Jordan Flight Club, and some Lifestyle accounts. 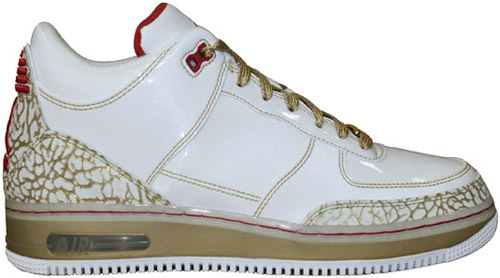 With shiny patent leather on the uppers, the Air Jordan Fusion Best on Mars had a retail price of $160.